It rained for two days and the day after it was 75 degrees. My roses are happy bloomers. I was standing in the rain when I took these photos. 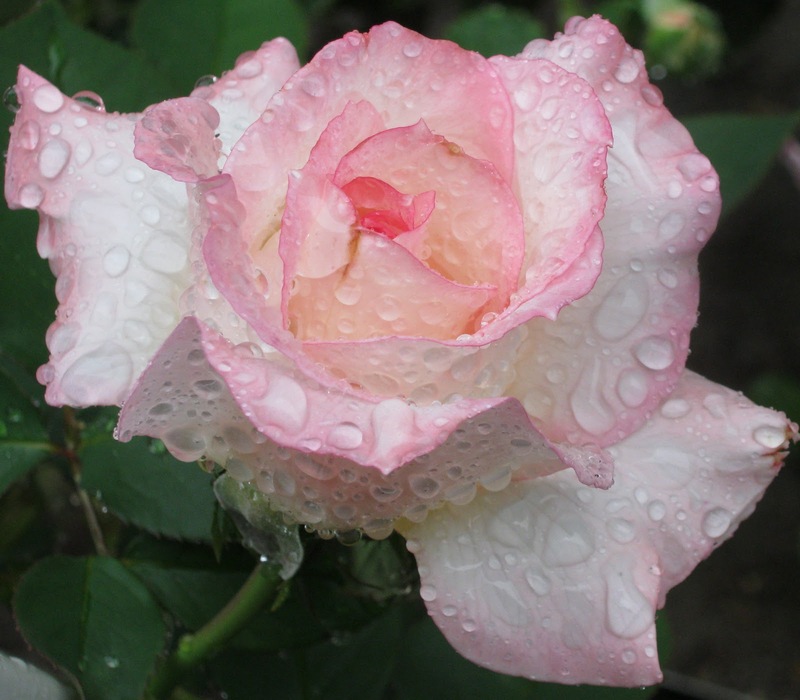 so beautiful, your photos look lovely with the raindrops!! Absolutely lovely photos of your roses in the rain! and your roses are still gorgeous! 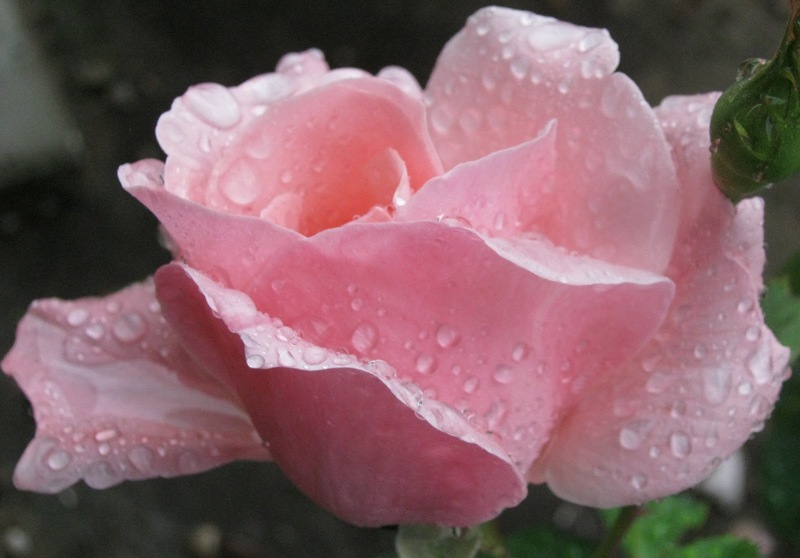 Capturing raindrops on the roses make for glorious photos - well done! 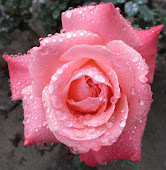 I would love my roses to look like this. Gorgeous! They are still very pretty. The rain drops just adds a nice sparkle to them. Very beautiful. Your rose garden must be a sight to behold. Such beautiful photos-thanks for sharing! So pretty. I can almost smell the fragrance. Captivating images! 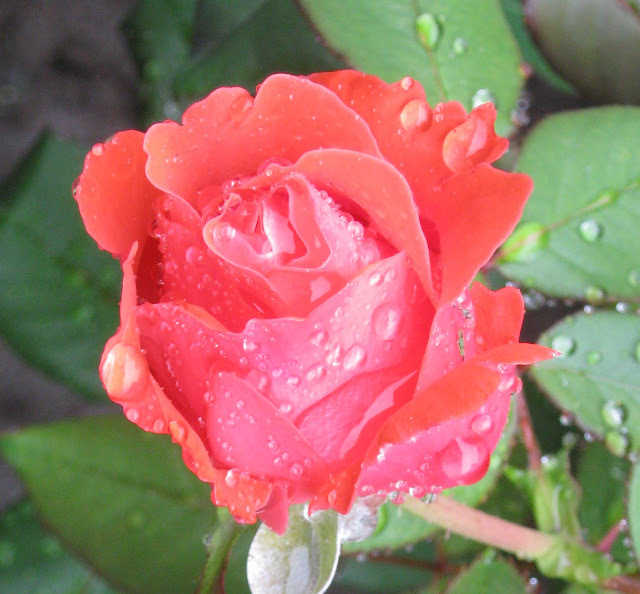 Your rose photos are absolutely amazing with the rain drops on the rose petals. SO Pretty! Too beautiful for words! We are finally having a rainy day here in the Ozark Mountains. Found my way by Castles and Crowns to your lovely blog! How beautiful! I'm glad you'll even stand in the rain for us bloggy friends! Miss Sizzle, do you really want a set of the graphic pillows? If so, let me know if you want the euro size (26") or a different size and I will make them and put a listing in my Etsy store. It's ChicHomeStore. So beautiful, delicate and romantic! You take amazing pictures! Great job! Oh my goodness, what beautiful flowers. 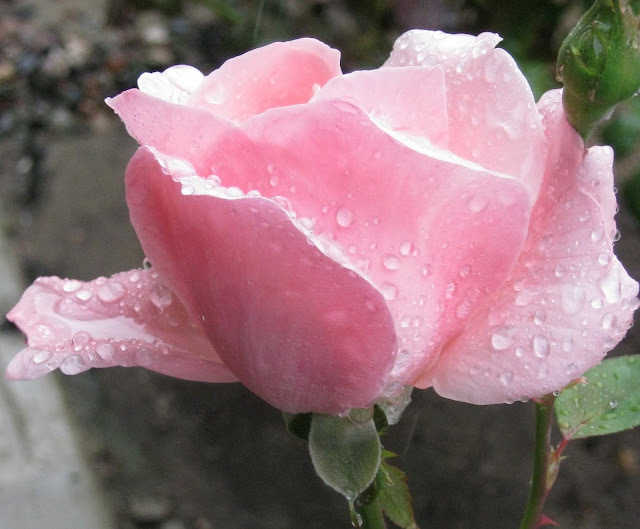 I adore the roses they are so delicate and the rain makes them even more beautiful. and I will be back again. I've never seen roses look more beautiful! What fabulous photographs! 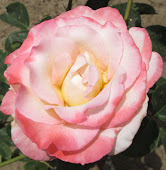 I'm in awe of roses, they are a treasure and make my heart happy! So happy I found your blog today! I'll be back. Now they are truly beautiful. The droplets of rain look so delicate. Love your new header photo too. this post is so amazing! the flowers are sooo beautiful!! love it! Wow, these are so beautiful. You captured the essence of the aftermath of a rainstorm perfectly. You have the most beautiful garden! You should frame some of these pictures! The raindrops are gorgeous! Oh boy! 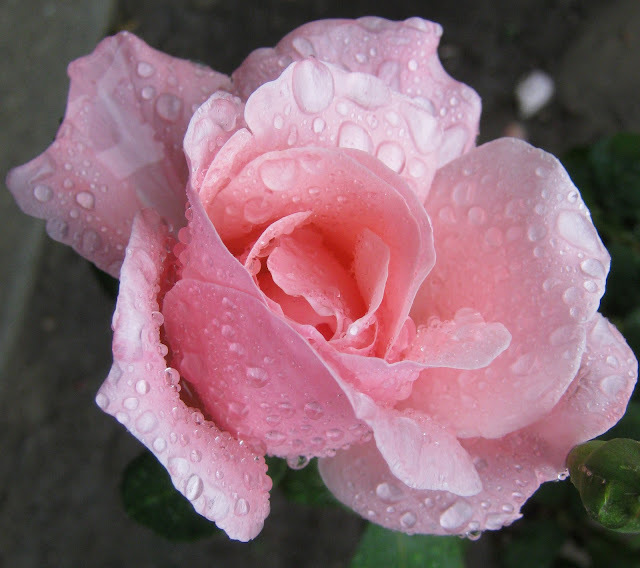 Your gorgeous roses look so fresh and happy! Worth your sacrifice in the rain!